The announcement came out when Sherry Zaragoza was working as a housekeeper at Virginia Mason. Bailey-Boushay House, a new skilled-nursing facility dedicated to serving people with HIV/AIDS, was looking for interested team members to transfer. It was 1992, when hospitals were struggling to meet the complex needs of people who were sick and dying of AIDS. Sherry was intrigued: How would Bailey-Boushay take care of these people? 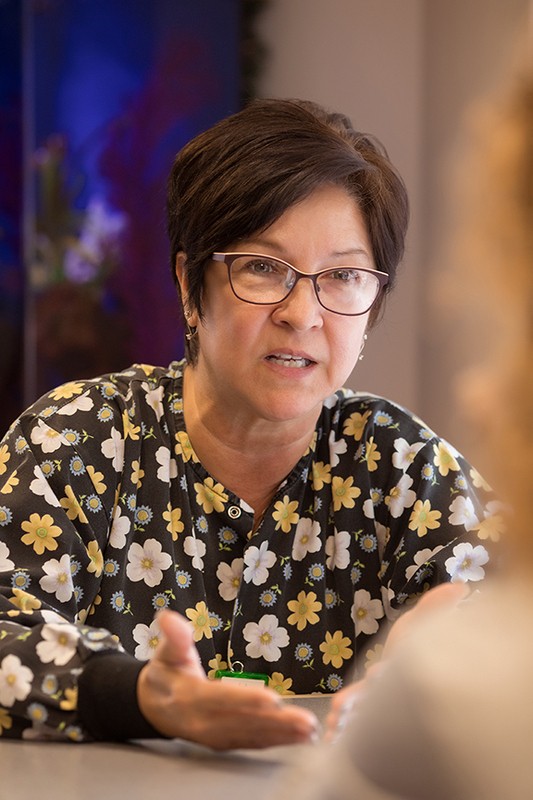 Sherry Zaragoza was one of the first to apply to work at Bailey-Boushay House. When Sherry started at Bailey-Boushay, people died quickly, in days or a few weeks. Far from questioning her decision, Sherry was drawn to the role of caregiver. She was invited to train as a unit coordinator, working more closely with residents and managing a variety of tasks. The support Sherry feels as a team member – colleagues she says feel like family – is another reason she loves the work after 25 years. Sherry admits there are sad times, and it's never easy, but she calls it her ideal job. Before entering the Residential Care Program at Bailey-Boushay, Rocky already had a friend. Chris, a resident, who knew Rocky from the Bailey-Boushay House Outpatient Program. Then end-stage cancer led to Rocky’s admission – and to new love. 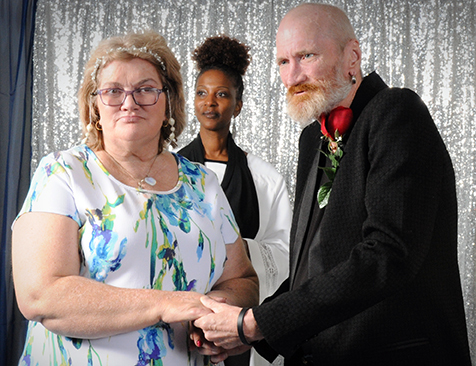 The two reconnected and celebrated their wedding on October 18 at Bailey-Boushay House with Chaplain Tiji Murphy officiating. Their newfound happiness would be cut short in November, when Rocky lost his battle with cancer.